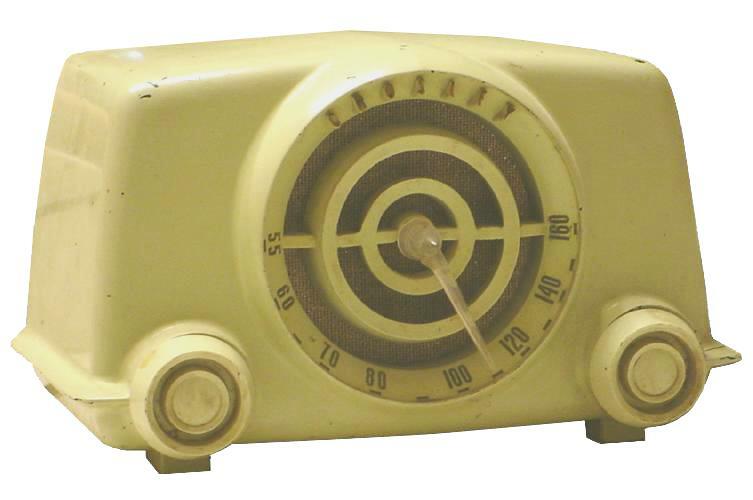 This Crosley was found at a flea market for 15 bucks with a unsightly crack on the side. However, the unique bullseye dial face attracts attention away from any imperfections. One downside with the alluring dial pointer is that some folks mistaken it for the tuning knob, which almost surely leads to a snapped tuning string. 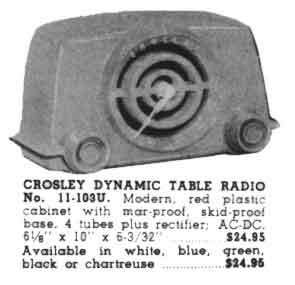 The original price was $24.95 and Crosley sold this radio in different painted cabinet colors including the 11-100U (White), 11-101U (Dark Blue), 11-102U (Dark Green), 11-103U (Red), 11-104U (Black), and 11-105U (Chartreuse).